One more Cabrini Green highrise demolished. Watch the YouTube video. Randomly came across this blog and video from True/Slant. Located at 660 W. Division Street, one of the last three remaining white Cabrini Green highrises has been completely demolished and all that remains is a pile of rubble waiting to be scooped up. The blogger has a friend who lives across the street and that person was nice enough…and thoughtful enough to compose a time-lapse video of the building’s demise. 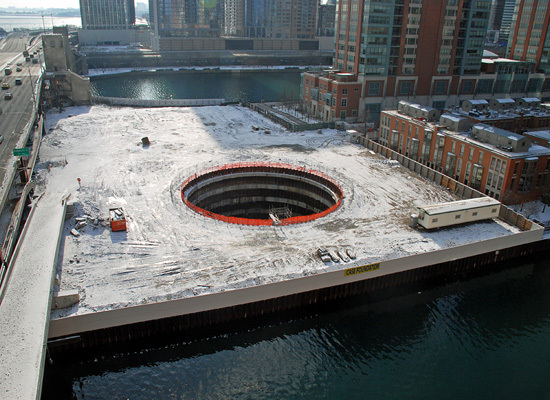 Big losses for those involved with The Chicago Spire…no surprises here. 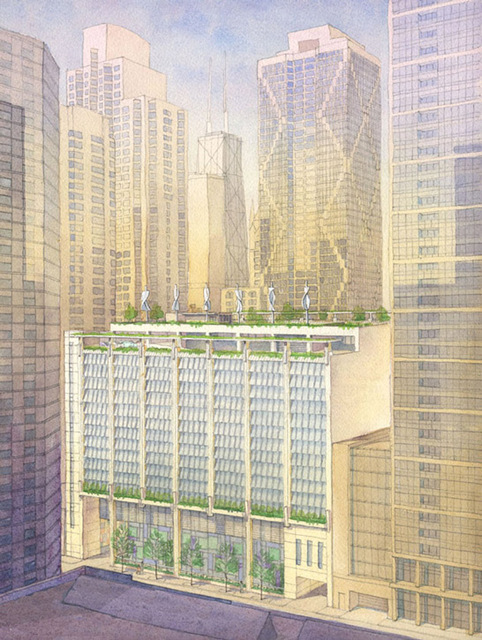 (Crain’s) — A Dublin-based affiliate of Chicago Spire developer Garrett Kelleher reported a $207.6-million annual loss, much of which is attributed to the stalled Spire project. Financial results were reported in Euros and converted to U.S. dollars. The Spire project, a twisting, 1,194-unit condominium tower at 400 N. Lake Shore Drive that would have been the tallest building in the United States, may account for at least $135 million of the $197.7-million loss provision, based on a previous filing by Shelbourne Finance Ltd., which is the entity pegged to the provision in Clarinabbey’s filing. Shelbourne Finance has previously said the firm provided an interest-free loan of $38.2 million to a Spire-related entity and separately advanced the project $96.8 million, according to its 2008 annual report, the most recent available. Clarinabbey, whose majority owner is Mr. Kelleher, reported last week that it is “technically in breach” on loan-to-value and interest-coverage covenants with its lenders, a group that includes the now-nationalized Anglo Irish Bank Corp., along with Royal Bank of Scotland Plc and Bank of Scotland (Ireland) Ltd. The financial reports were filed with the Companies Registration Office in Ireland. Calls to spokeswomen for Shelbourne and a voicemail left at the firm’s Chicago office on Wacker Drive weren’t returned. Clarinabbey reported the $207.6-million loss for the period ended March 31, 2009. Wow. To read the full ChicagoRealEstateDaily.com article, click HERE! New restaurants, including Bull & Bear, to open around River North. (Crain’s) — The owners of the popular Bull & Bear pub and a local diner plan to open new locations this year in River North. The firm that owns the Bull & Bear and Stone Lotus, Twilight Traffic Control LLC, leased 12,000 square feet on the ground level and basement at 400 N. State St. for an upscale, “beer-centric” pub that’s to open in September, says Luke Stoioff, a partner with Twilight Traffic. The new pub will have a different concept than Bull & Bear, a sports bar, and Stone Lotus, a nightclub. The 10-year lease has several five-year extension options, Mr. Stoioff says. The location will be twice as large as the firm’s two other River North spots and have a little more expansive menu than Bull & Bear, 431 N. Wells St., serving contemporary American comfort food, he says. It also will have beer taps at the tables. The 400 N. State building is now 80% leased, says Marc Bushala, the majority owner and managing partner of the group that bought it in 2008. News of Twilight Traffic’s plans was reported last week by newsletter Marina City Online, which says Redfish closed in July 2008. Separately, Clarke’s Restaurant signed a 15-year lease this week for 6,650 square feet at 343 W. Erie St., says Arthur Holmer, a managing principal of the building owner, Chicago-based real estate investment firm Wells Street Cos.
Clarke’s, whose “Oh my. You should eat” sign at the 930 W. Belmont Ave. location is well-known to CTA riders, is to occupy space vacated about a year and half ago by residential real estate brokerage Keller Williams Realty, Mr. Holmer says. The new location will be the biggest for Clarke’s, whose three others are about 4,000 square feet, says Dan Moon of Moon LLC, who represented both sides in the lease. The River North site is targeted to open in mid-April, he says. Both Clarke’s and Twilight Traffic’s have proven concepts, which should help them succeed even in today’s economy, says Jeremy Kudan, principal at Chicago-based brokerage Kudan Group Inc., which specializes in restaurants and was not involved in either deal. 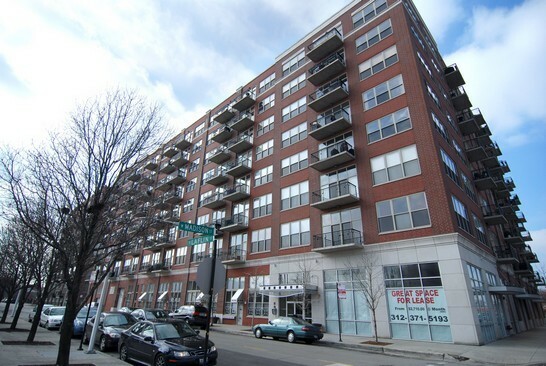 High traffic and River North’s affluent demographics also give both “a huge chance at long-term success,” Mr. Kudan says in an e-mail. How to live big in a small home. Average home size on the decline. One of the first tasks she assigns clients is to go through their stuff—ruthlessly. “We all have too much stuff,” she says. “Get rid of it. If you’re attached to an item, or think maybe you’ll need it, put it in a box and store it somewhere for six months. Then go back through it. Have you used it? Have you even missed it? If not, donate it. Get it out of the house.” That goes for clothes as well, she says. Go ahead and read the full REALTOR® Magazine article and check out the tips that are included in the article. Click HERE! 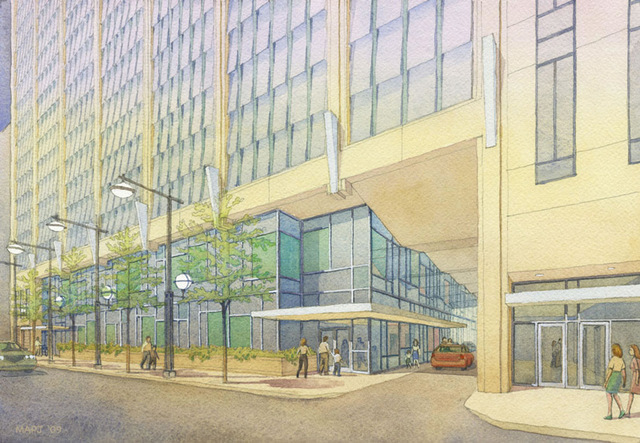 New Northwestern Hospital parking garage plans in Streeterville. These two pictures were brought to you by Skyscraperpage user “Spyguy.” These are plans for a new parking garage that is right behind Belgravia Group’s 600 N. Lakeshore Drive and will be used by Northwestern Hospital. Not sure how many parking spaces are planned or even if this is a total go-ahead but no matter what, it’s nice to see some sort of plans coming around. It looks as if this parking garage has some green features, from plantings on multiple levels to wind turbines on the roof. I can appreciate the green features, but the plans look just alright. NEW LISTING ALERT! 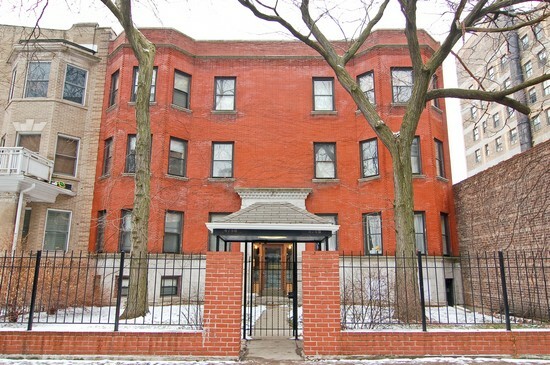 2Bed/2Bath duplex penthouse at 6 S. Laflin. Amazing views! 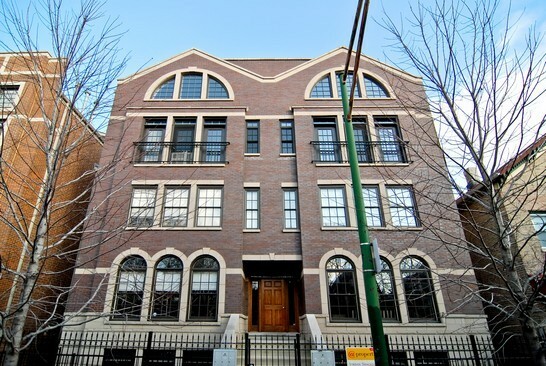 Check out our new two bed, two bath @properties listing, located at 6 S. Laflin Street in Chicago’s West Loop neighborhood. 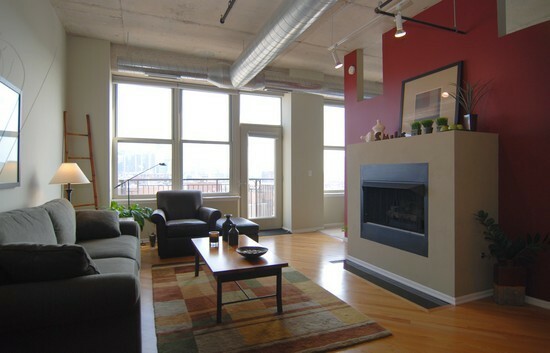 Now, as soon as I set foot into this home my eyes immediately went to the huge windows to look at the AMAZING, unobstructed views of downtown Chicago. I swear the rest of the home is great too but I’m always a sucker for a city view. 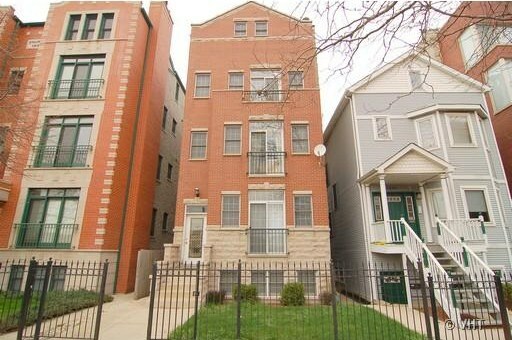 6 S. Laflin has a great sized kitchen with plenty of storage, a spacious living area, and a great sized bedroom on the first floor. Walk up one flight of stairs where the master bedroom suite is and you’ll find a HUGE walk in closet and an outdoor terrace that begs for a major party in the summer. This part of the West Loop has seen a major expansion lately and will only continue with development. You’re about a block away from Skinner Park and Union Park, and close to some restaurants and stores. Laflin is listed by @properties agents Karen Fata and Jordan Shackelford at a price of $339,000. This place is seriously priced to sell quickly. If you have any questions…or want to buy the place, send an email to jeffstewart@atproperties.com. 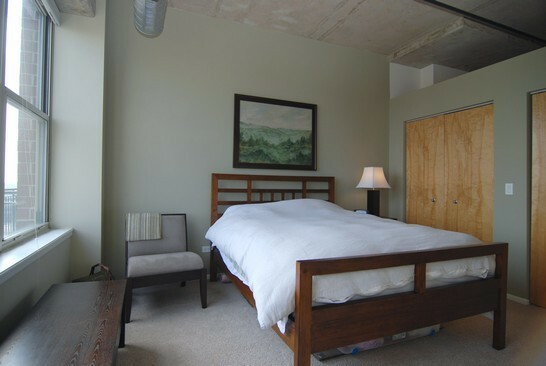 Check out a few pictures of the home below or check out the full virtual tour HERE! 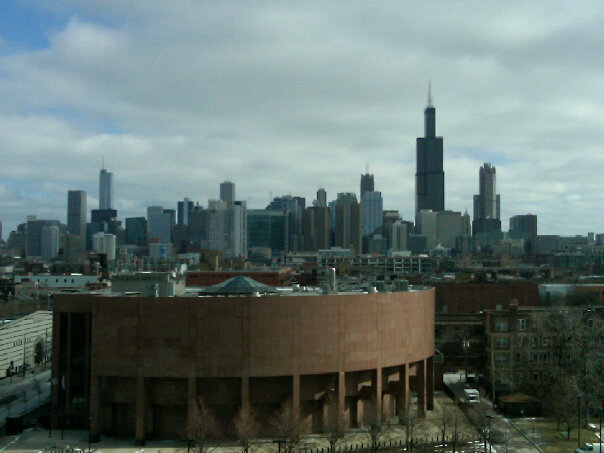 The Archdiocese of Chicago planning a new Catholic school in Chicago’s South Loop. (Crain’s) — The Archdiocese of Chicago plans to start work in June on a new school building on a South Loop site purchased from a venture including restaurateur Matthew O’Malley. The 33,000-square-foot elementary school building is to be completed in 2011 next to Old St. Mary’s, 1500 S. Michigan Ave., Chicago’s oldest parish that has seen its school’s enrollment grow amid the housing boom on the Near South Side. The school is currently located in a 12,000-square-foot former warehouse. 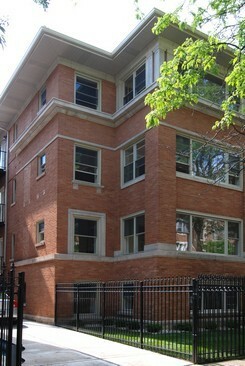 The archdiocese bought property for the school in 2008 from a venture managed by Matthew O’Malley, whose Mainstay Hospitality LLC runs well-known Chicago Firehouse restaurant, Grace O’Malley’s Restaurant & Pub and Wabash Tap, all near the church, according to the Cook County Recorder. Mr. O’Malley’s venture sold for $2.4 million, after paying $1.35 million for it in 2005, property records. Mr. O’Malley has a daughter at the school and is also donating to the building project. He was at the center of a controversy several years ago over an agreement with Chicago Park District to operate the Park Grill restaurant in Millennium Park. He could not be reached for comment. The school, which opened in 2004, offers pre-kindergarten through fourth grade and now has about 170 students. A grade is being added each year, with some 215 students expected to be enrolled next school year, says the principal, Mary Lee Calihan. The school is getting many more applications than it can accept, she says. The new building will be primarily a school, with some meeting space for parish use, says the Rev. Mike Kallock, Old St. Mary’s pastor. 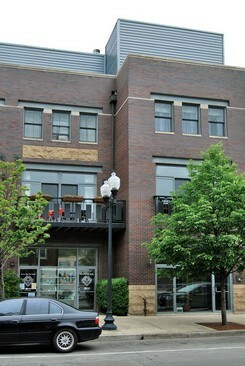 Newman Architecture of Naperville designed the building. The school is proposed for a site that includes some land that the archdiocese already owned. The archdiocese has requested a zoning amendment for the property, and is represented by attorney Thomas S. Moore of Chicago law firm Anderson & Moore. The parish is also growing, with more than 1,200 people at Masses on Sundays, up from about 500 when the church moved to its current site in 2002, says Rev. Kallock, who has been pastor since 2006. The archdiocese is financing the $6-million construction project without loans, and the parish will have to pay back the money. The project has been scaled back from original plans that were too costly, Rev. Kallock says.